Via the truly wonderful/bloody worrying Full Kit Wankers. 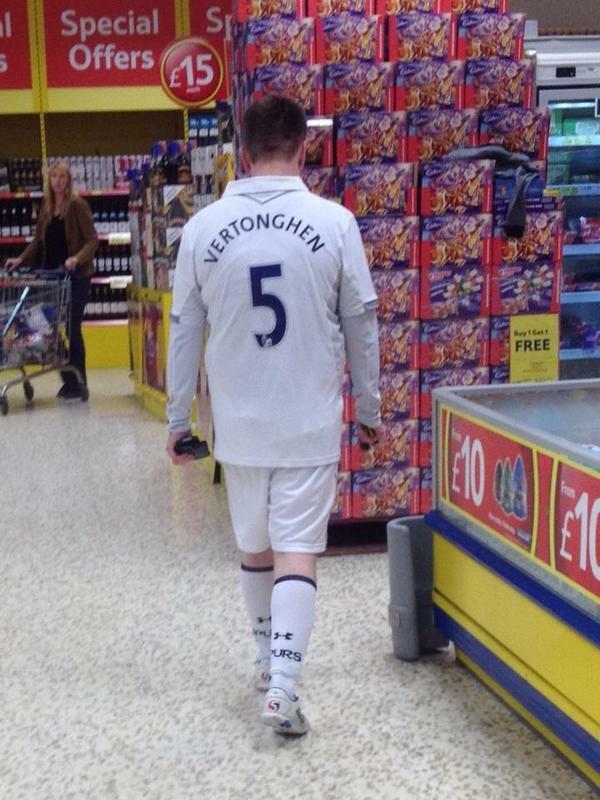 Follow them on Twitter @WankersFullKit and prepare to be amazed! Love the woman in the background. You just know she’s in the middle of making a swift change of direction after seeing something so disturbing. I’m convinced most of these are a wind up now. What kind of c**t in their right mind would go out dressed like that?! He has obviously nipped in for a bottle of drink before football training, give the bloke a break…. Nothing wrong with that. The ones who find a problem with it are the onew who are the real wankers. Why so weird? You often see that kind thing if you visit supermarkets around 8-9pm. The guy looks like he,s returning from 5 a side or something. You guys spend too much time sat in front of your pc’s to realise,! Get a life!